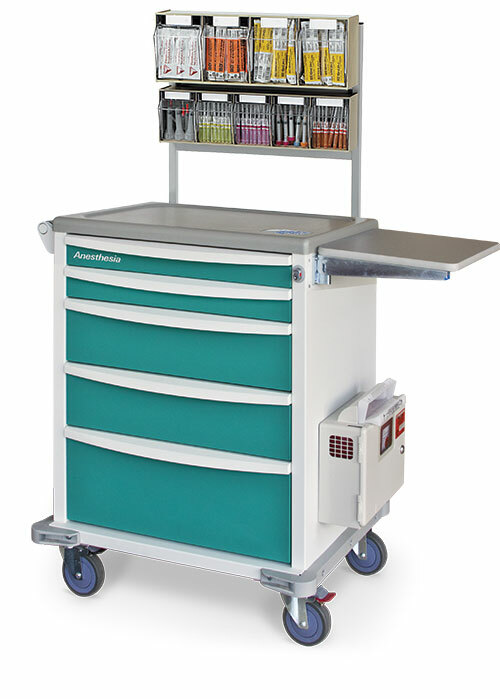 Capsa’s Anesthesia Carts are designed with a synergy of function and technology to meet the requirements for anesthesia storage, organization and security. Choose from 3 innovative locking systems to ensure medications and supplies are kept secure. Flexible divider systems, removable drawer trays, and optional accessories help promote orderly storage and organization. A range of styles and sizes along with host of accessories allow you to configure your ideal cart solution.